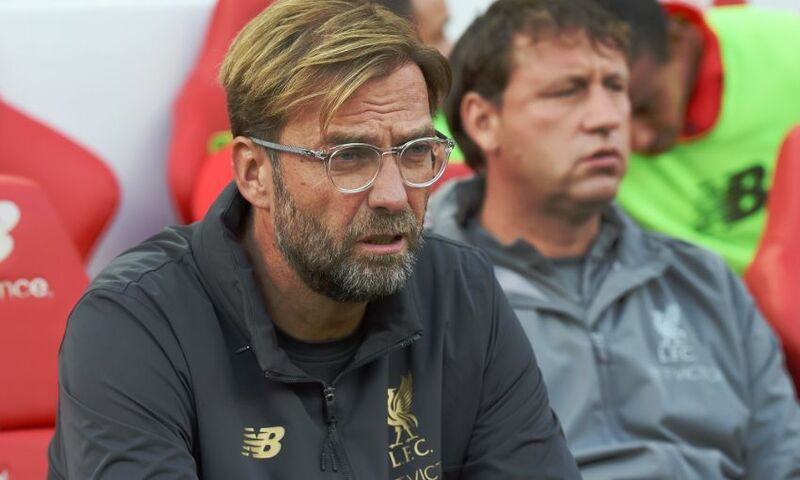 Jürgen Klopp insisted Liverpool 'still have a lot of work to do' after they claimed a third straight Premier League win by beating Brighton and Hove Albion 1-0. 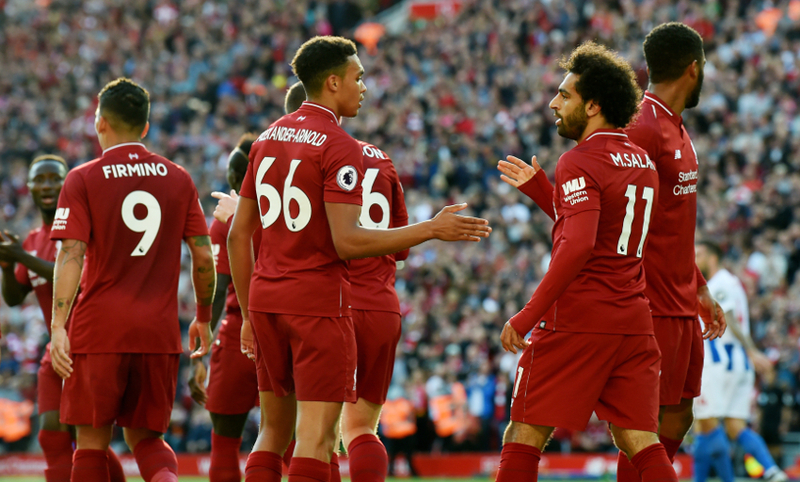 Mohamed Salah scored the only goal of the game at Anfield midway through the first half of what proved to be a hard-fought encounter with Chris Hughton’s side. Nevertheless, the Reds top the early standings and have still yet to concede this season, with Alisson Becker maintaining that record with an important late save from Pascal Gross. After the final whistle, Klopp reflected on the areas for improvement in his team, his satisfaction with a rare 1-0 result, the decision to loan out Loris Karius and more. Apart from that it’s not an interesting moment in the season to be top of the table, no. No problem with that. Nine points after three games, I never heard anything negative about that. That we didn’t concede a goal, nothing negative about that. But if you watch the games you see, and we knew it before the game, and now probably a few more people know it: we still have a lot of work to do. No problem with that as well. The first half was, I think, like it should be – good mindset, really patient in the right moments, passing around the formation and through the formation, creating moments. And we scored the goal and could have scored more. I don’t think they had a chance in the first half. But then there was half-time and after half-time we didn’t do exactly the same, the boys changed a little bit and it was not the best idea. We didn’t show the same patience anymore to play it around. Immediately the start was a bit more open, it looked like a more open game, there was absolutely no need for that. Then we controlled it again, that’s good, and then in the last 10 minutes, I’m not sure, they had their moments because we started passing through an area where there was no space so we lost these balls. We had to run, they wanted to run and they had their chances. Alisson had to make a big save – nice. Good for him and good for us. And we won the game very deservedly, that’s how it should be. I don’t think 1-0 is a result we had very often since I’ve been in so I’m very happy that we had one because it was the best we could get today. So, all good. We said goodbye yesterday. He is really looking forward to it, so that’s good. It’s good for him, I really think. Loris is a fantastic goalkeeper at a very good goalkeeper age. A lot of people speak now about our improved defensive things and as good as Alisson was in the last three games, in most of the games when we were already really good in that he was not here. It was Loris in goal and he did a lot of good things. When I saw the Besiktas team, it’s quite an experienced team they have there. They have a good chance to win the league in Turkey, that’s cool. Now they have a really good goalkeeper. I’m really happy for him and he was very happy about the opportunity as well. All good. And we have Simon Mignolet here, a wonderful, perfect goalkeeper as well for us. That’s the situation now. Plus, the two kids [Kamil Grabara and Caoimhin Kelleher] of course. We did it because we were convinced. We didn’t make the price, we have said that before. We only wanted the player and the owners gave us the opportunity to do it, so cool. It’s all good. I wouldn’t say we were under pressure, but they had their moments. I think Pep Guardiola said this week the players are not 100 per cent fit and we have exactly the same [thing]. 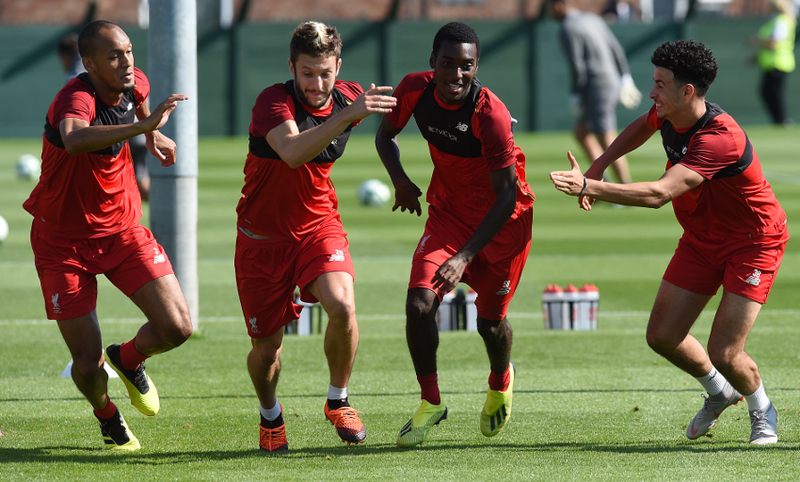 We cannot give the boys no summer break and then a very short pre-season and say: ‘Now deliver at your best.’ These games are the most important sessions we have to become as fit as possible. So that means it is clear, if you don’t decide the match early then it stays pretty exciting – and that’s how it was. It was clear we will not start slowly and in the end we will show our best. In this moment of the season, we started pretty lively, did exactly the right things. In the moment the concentration level dropped a little bit, you could see a few really wrong decisions and that gave them the opportunity to use. That is how football is, I can’t remember a perfect football game – and today was not a perfect football game, but it was good enough. We deserved the three points and I think nobody doubts that. First and foremost, that’s the most important thing. I am happy, really happy about that. I knew before the game that we have a lot of work to do – and now maybe you know it as well. That’s not too cool for a manager! If it worked then it’s cool. I had a few centre-halves who were able to do things a centre-half should not do, like Mats Hummels constantly doing things where I really thought it made no sense but he was really good at it. Now Alisson is a goalkeeper and he can obviously play football! He is confident enough to do it, it’s good, it’s all OK, and he didn’t do it for showing off, he did it to solve the situation. We get more and more confident – and obviously he has a nice level of confidence as well and he used it in this situation, so it’s all good. I liked the save after the header more than the chip, but it was the right thing to do in the situation as well. I am fine. We had a pre-season and he could play a lot of games. I have had it plenty of times, these talks in the 18 years or so of doing the job. I think I had talks like this 30 or 40 times. We are 100 per cent convinced, so everything will be fine – but sometimes it needs a bit longer. Is it then nice for the player not to be in the squad? No, but I have to make a squad for the matchday and not for matchday 15. That’s it, it’s all good. He had a really good training week – not that it was the first one but it was a really good one – and so, everything will be fine. Very good and today was a big test. Obviously Brighton thought: ‘Let’s pick Joe Gomez for the long-ball challenge with Murray.’ And Joe did really well. They were real challenges, but I don’t think he made one foul. He won 70 or 80 per cent of his duels. He did really well, he is a good footballer, I like how his confidence grows as well. His speed is good, he has a lot of nice things for a centre-half, so I am really happy about it. Today, we thought about that change a bit earlier, bringing Joel Matip on and move Joe to the right full-back side. I thought in the last four minutes it was a fantastic idea, and we could have done it 10 or 15 minutes earlier. Trent felt intensity today, it’s all good, but Joe can play both these positions and that’s cool. He played for England as a centre-back with three at the back and he is able to do that. We fill his CV step by step, altogether it is nice he is here.